Medication error injuries are a serious form of medical malpractice that can result in irreparable damage to your body. Improperly administering the otherwise correct drug dosage can also pose potentially deadly complications. Serious injury and wrongful death claims stemming from medication errors are commonly made against doctors, nurse practitioners, and nurses. At the Law Offices of Scott S. Harris, APLC, I represent people throughout Southern California, who are seriously injured by medical malpractice. 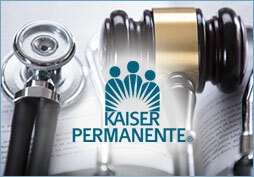 My practice, located in San Diego, California, focuses almost exclusively on claims against Kaiser Permanente. As the largest healthcare provider in California, this institution is subject to countless malpractice claims. For more information about recovering compensation for your injuries, please contact my office to schedule a free initial consultation. I can help you hold medical professionals responsible for the injuries they cause via medication errors. To learn more about a medication error claim, contact the Law Offices of Scott S. Harris, APLC, to schedule a free initial consultation. I represent people throughout Southern California, including those in Riverside, San Bernardino, and Chula Vista. All cases are taken on a contingent fee basis, so you do not pay me any fees unless I am able to secure you the necessary compensation. Please call 619-573-6034, toll free 866-934-2432 to speak with a knowledgeable attorney.